Microsoft Visio is a commercial diagramming program for Microsoft Windows that uses vector graphics to create diagrams, flowcharts, organizational charts, network diagrams, and more. 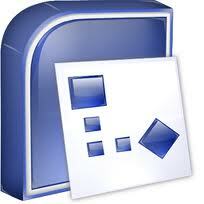 Computer Smart offers a 1 day training course for Microsoft Visio. Gold Coast or Brisbane. The table below provides a summary of our Visio workshop. You can click on the view outline link for a PDF document with more details.